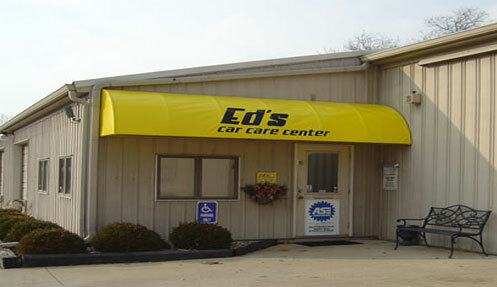 Ed's, here in Fort Wayne, has been gladly providing the service needs of Chevy drivers since we opened in 1980. We provide Chevrolet repair work to the entire line up of Chevy models: Spark, Sonic, Cruze, Volt, Malibu, Impala, SS, Camaro, Corvette, Equinox, Traverse, Tahoe, Suburban, Colorado, Avalanche, and Silverado. For us, we are happy when our customers are happy and we proudly back our work with a 24 month, 24,000 mile warranty. Our certified technicians and friendly staff work hard to provide high quality service in a professional manner, and we strive to always offer competitive prices. As a car owner, we know you rely on your Chevrolet and want to run hassle-free for as long as possible. We want to help you keep your vehicle running well also, but we need your help. When your manufacturer recommended maintenance mileage is approaching, be sure to bring your vehicle in. 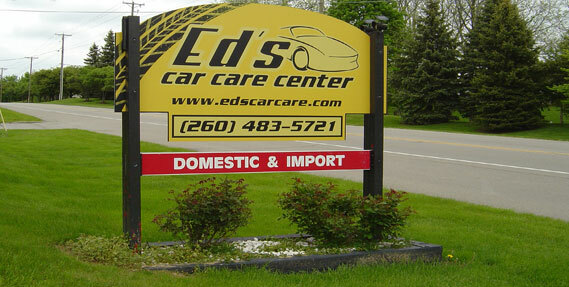 If you don't know when that specific mileage is, call our shop and we will gladly help you identify the correct mileage that you should have your maintenance service.And when you know your Chevrolet is in need of repair or suspect an issue with it, we encourage you to bring it to Ed's Car Care Center. All too often, we witness car owners who allow maintenance and repairs to go unaddressed, and sadly they end up paying for those decisions. Save yourself the stress and money of having to correct major vehicle damage, and bring your car in when maintenance and repairs are needed. Give us a call or stop by to schedule an appointment for your Chevrolet repair.